Maple Ridge – Pitt Meadows School District No. 42 has six secondary schools. 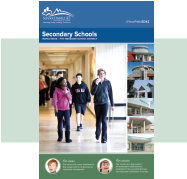 Learn more about our secondary schools and programs from the menu below. View secondary school hours of operation.